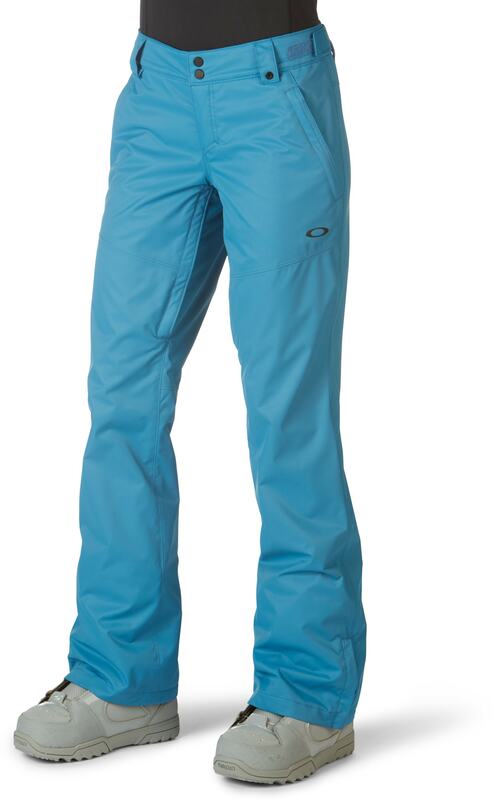 Hit the slopes in the style and performance of the Oakley Moonshine BioZone Insulated pants for women. 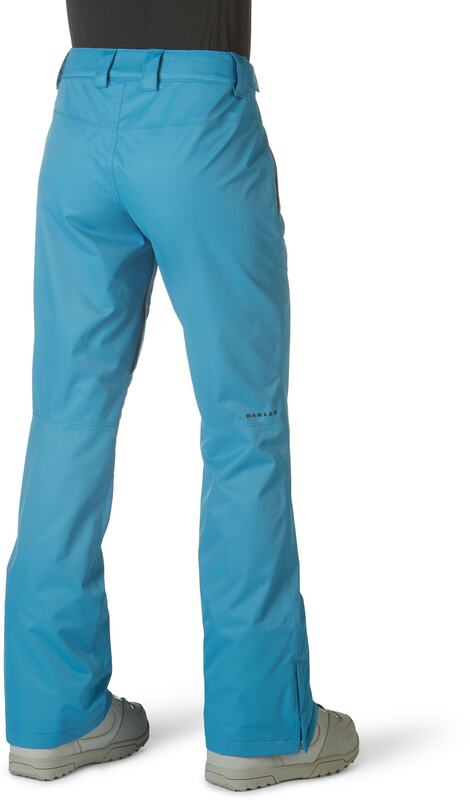 The Moonshine BioZone ski/snowboard pants are made for the woman who is active on the slopes and who seeks a pant that will last her through all her adventures. Crafted with the durable, yet breathable FN Dry 10K technology you receive a great waterproofing exterior fabric that will protect in the wettest of winter days. 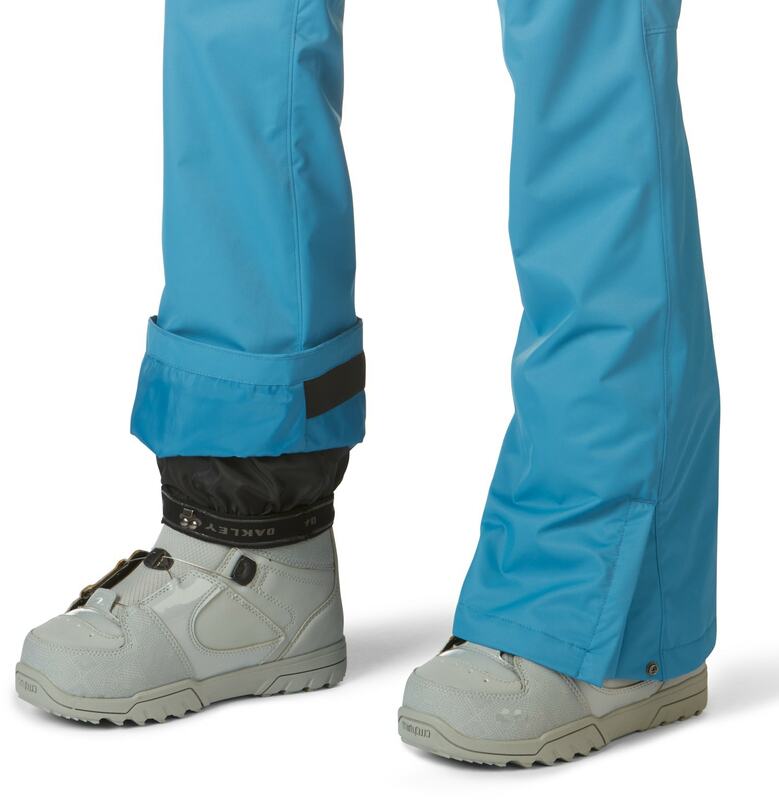 Keeping with protecting yourself from the moisture and wind, stretchy boot gaiters that have an interior grip strip and boot hooks along with hook-and-loop tabs help to keep you dry and comfortable. 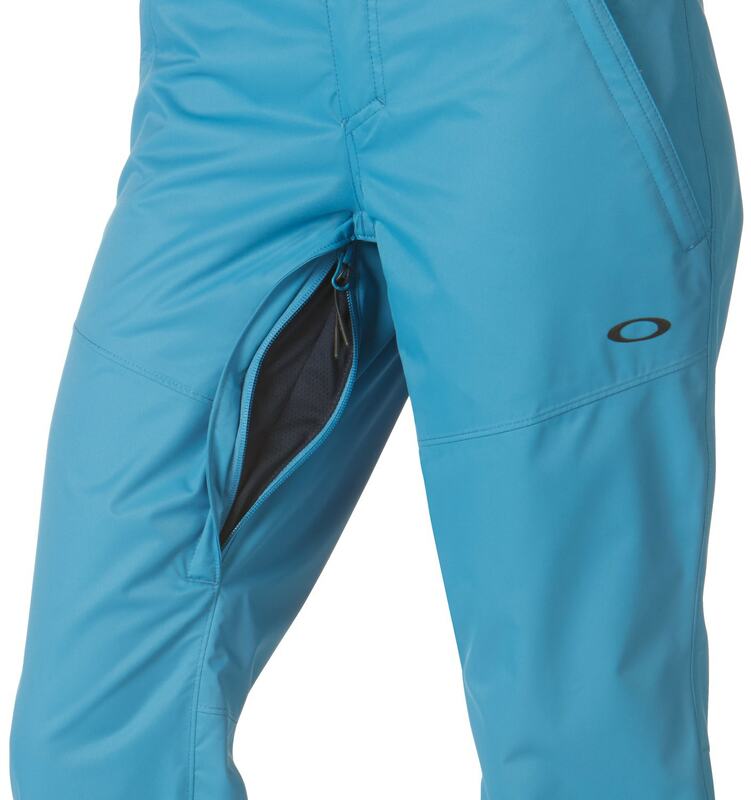 Mesh-backed zippered thigh vents allow you to get comfortable quick on warmer days. For the cold days, you have BioZone Insulated technology to keep you warm while still being mobile. 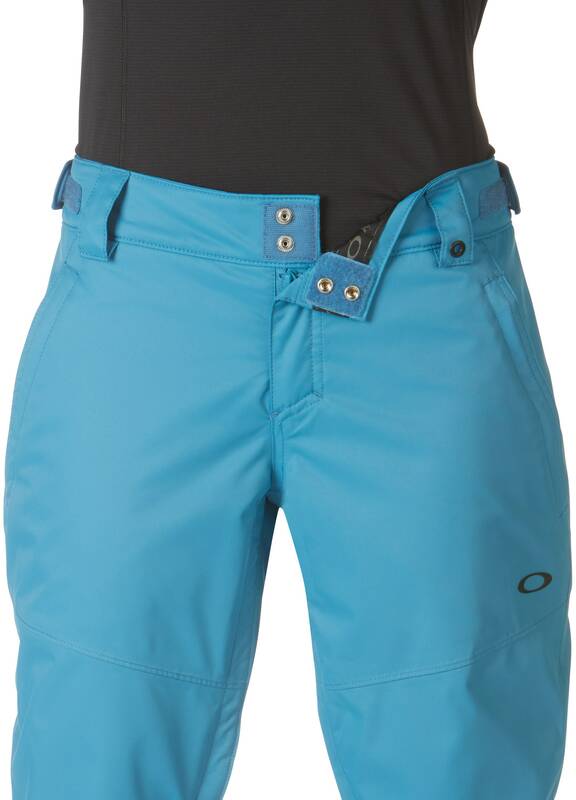 This winter, get into the cute, comfy and warm slim fit Oakley Moonshine BioZone Insulated snow pants for women. For my sister, said that they fit fine. 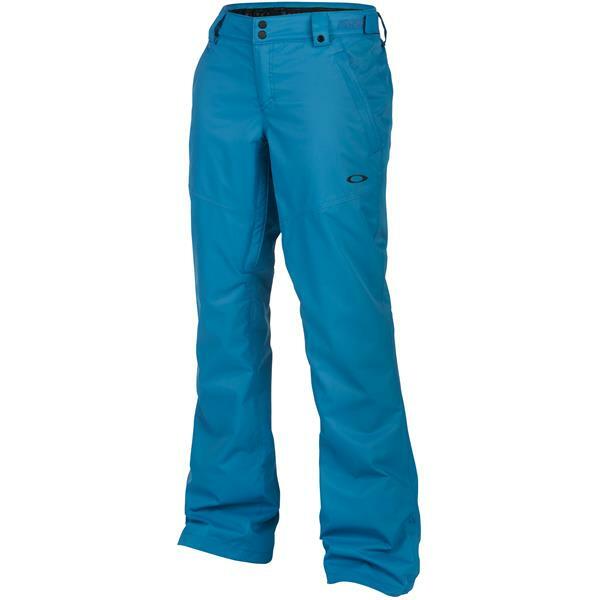 These snow pants are light weight and work well. They are thin but work well. I wear under armor, leggings, and joggers under these and I’m still able to manuver the way I want. So No complaints here. Nice black pair to match everything! I love the look of these pants and they are long enough for me. The only problem I have with these pants is the fit. They fit in my thighs but are huge in the waist.